Are vampires causing the mysterious solar eclipse in Vampire Moon: The Mystery of the Hidden Sun? Read Kidzworld’s review for this new DS game. 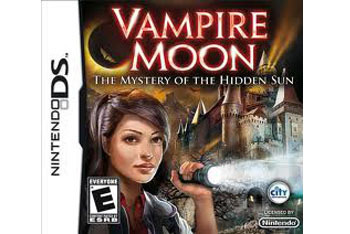 In Vampire Moon: The Mystery of the Hidden Sun for Nintendo DS, journalist Emily Davis heads to Transylvania on assignment to write a story about an unusual solar eclipse that is lasting longer than normal. When her phone dies and the man who was supposed to meet her doesn’t show up, Emily knows she has gotten in way over her head. Players must help Emily solve the dark mystery of the eclipse, and determine if the mythical Dracula is somehow involved. In order to progress through the game, players must collect a variety of items in different settings and locations. In order to collect the item the player must find it and then tap it with the DS stylus. 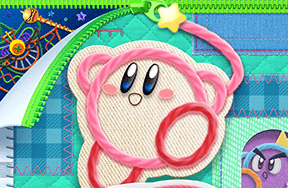 Some items will be automatically added to the player’s collection while others, like the postcard and map, must be put together. 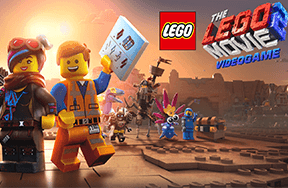 In order to put together the clues and helpful objects, players must complete a mini game. The mini games vary, but often involve a simple action that must be finished in a set amount of time. While the premise behind the game is intriguing, it is difficult to follow the story line past the first few minutes and most players will probably leave the mystery unsolved. There is not enough detail to catch the player and convince them to keep playing. Each step is merely a repetition of the last one (ie. entering a new scene and finding items). In the end, the spooky atmosphere and complicated story fall short. Have you seen New Moon?